This is an online gaming platform that allows people to play different casino games. It offers instant play, meaning you do not have to download the game to play. You just go to the website, log in, (or sign up for first timers), and you are good to go. The platform has two operating licences, one from Malta and one authorised by the UK. This allows it to operate in many countries across the world. It is owned and run by Casumo Services Limited, and has been in operation since 2012. The site is straightforward and easy to explore and navigate, which probably makes it a hit among many players. It has just but a few buttons, with little casino fanfare. Due to its simplicity, the site is able to load quickly and allows players to place bets fast; a significant requirement for success in online gaming. The site is very adaptable to mobile devices, meaning players can always enjoy games on the go. It also allows players to choose between English, Finnish, German, Norwegian and Swedish languages, depending on their region or preference. Players are required to sign up, to play with real money, and make a deposit on the Casumo site. There is no minimum deposit required unless you are looking to gain welcome tokens. There are a variety of methods that one can use to load money into their accounts; these include e-Wallets such as Visa, Skrill, PaySafe, Netteller and Mastercard, or wire transfer through the bank. Most deposits do not carry additional charges. Once you have loaded your money, you can then explore your favorite games, and place stakes as you wish. There are close to 900 games available on Casumo, with slots taking up all but a hundred of these. Winnings are sent out immediately, with the time taken to reflect in the player’s account depending on their method of withdrawal, (instant for Skrill and Neteller; up to three days for Visa or bank transfer). 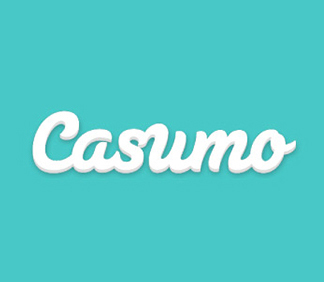 Casumo protects its players at all levels, and this is another reason why it has continued to dominate the market six years in. All personal information entered on the site is encrypted, so there is no risk of it getting stolen by cybercriminals. The site also allows players to restrict their deposits and spending. This is especially important for people who are concerned about problem gambling, either as a matter of caution or as a rehabilitation requirement. The presence of around-the-clock support means players won’t get stuck whenever they encounter a problem. The support includes live chat and email. Casumo has been around for more than half a decade and continues to be one of the most popular online casino platforms. That players keep coming back is a sign that it is a site worth its salt. Tests that were done for this review support the same. The only downside is that it is not available in many countries. This is a reliable site; do not have any reservations about joining.